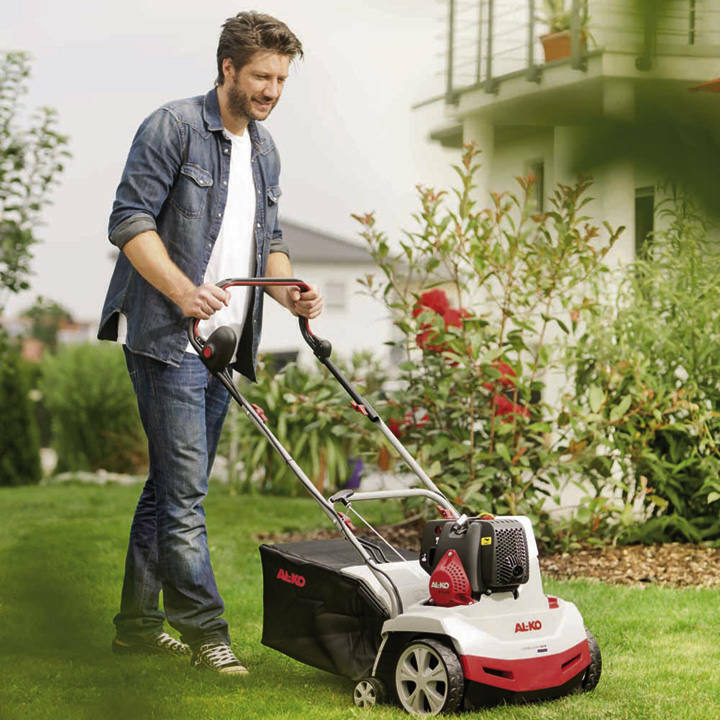 The AL-KO 38P Combi-Care offers the benefits of the 38E model, but with the additional benefit of a petrol engine. The 38P features the same dual purpose aerator & scarifier cassette system as the 32VLE/38E, meaning you can easily change the function of the machine to suit the job in hand. Whether raking out thatch and moss or more intensive care, aerating the lawn becomes easy with this durable machine. The machine is fitted with a quality AL-KO engine, suitable for medium to large sized gardens. The height-adjustable handlebar allows fatigue-free working and easy operation. In addition, the machine can be stored easily. The roller change does not require tools, so it is simple to change from the scarifier roller with 3-stage steel blades to the lawnrake roller with efficient steel spring tines - complete lawn care in one machine. Five-stage working depth adjustment with just one hand motion. this is important because the blades should just touch the ground when scarifying, in order to avoid wearing them down unnecessarily quickly and to avoid damaging the grass roots. Function changes to suit job in hand!